My daughter Azariah is wearing the costume. It took us 2 years to collect feathers from our peacocks during their molt. 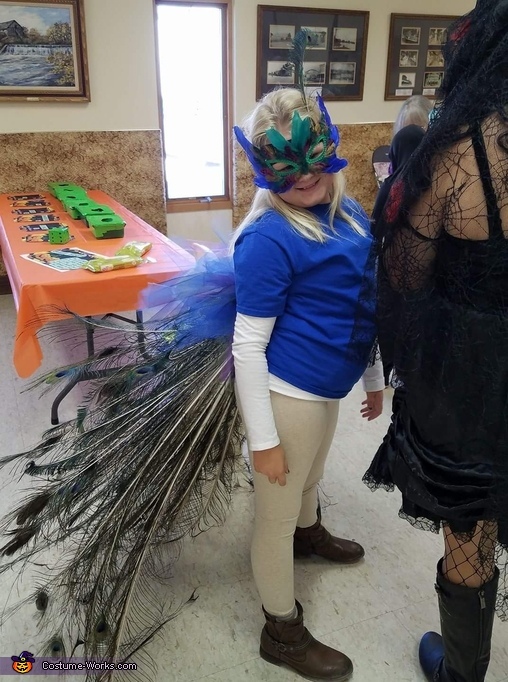 We used 201 feathers to create her tail feathers. An insane amount of hot glue and netting.